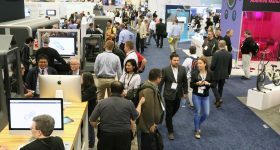 The International Manufacturing Technology Show (IMTS) 2018, in Chicago, Illinois, where 3D Printing Industry has been reporting live comes to a close this weekend. 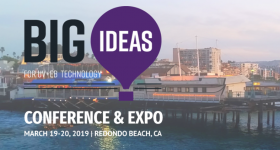 With a variety of announcements from industry leaders such as HP, EOS,3D Systems and GF Machining Solutions, companies adopting additive manufacturing within its conventional machining systems should also be recognized. Thus, read on to find out about the traditional manufacturers at IMTS who have demonstrated the ability to adapt to additive manufacturing technologies. 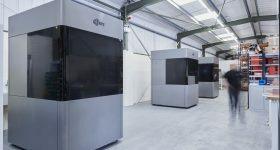 Takumi USA, an industrial engineering company specializing in die/mold and CNC machining, and 3D-Hybrid, a machine tool company based in California, have presented its metal 3D printer, the Takumi H12 double-column machining center, capable of full in-process machining. 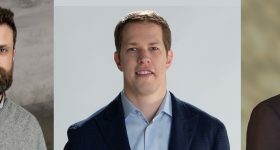 “With Takumi’s large double-column machining center and 3D-Hybrid’s economical Wire-Arc Additive tool, we will be breaking new ground in the market for a high precision, lower cost metal 3D Hybrid machining center,” said Karl F. Hranka, Founder of 3D-Hybrid Solutions. 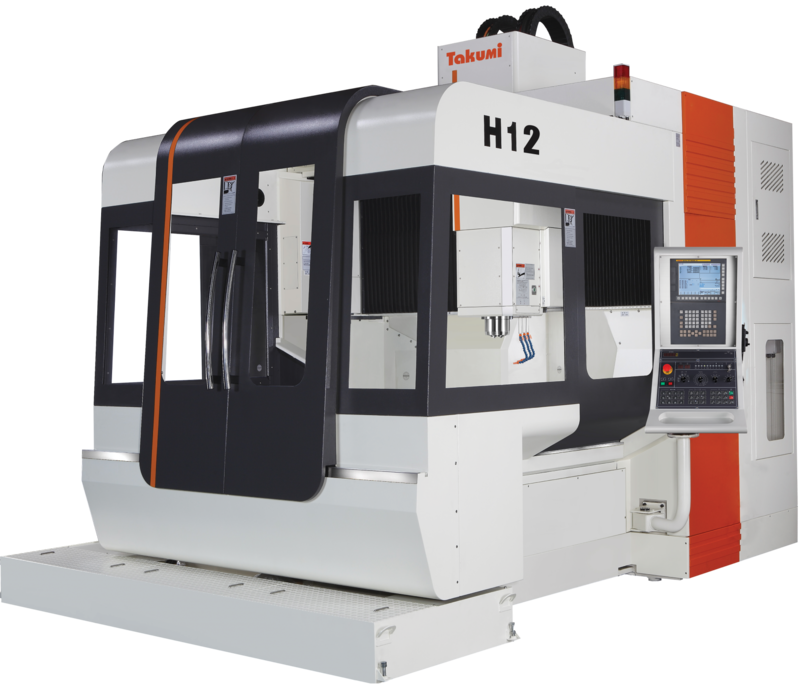 The Takumi H12 double-column machining center. Photo via Takumi. Taiwan Machine Tools, has presented new smart manufacturing solutions from its brands at the “Taiwan: Make Tomorrow Come True,” a virtual reality IMTS press conference. 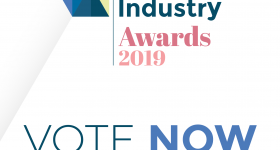 This included Tongtai Group’s Tongtai Intelligence Manufacturing System (TIMS) which enables operators to easily control production status and improve machining efficiency on its machine models for additive and hybrid additive-subtractive manufacturing. 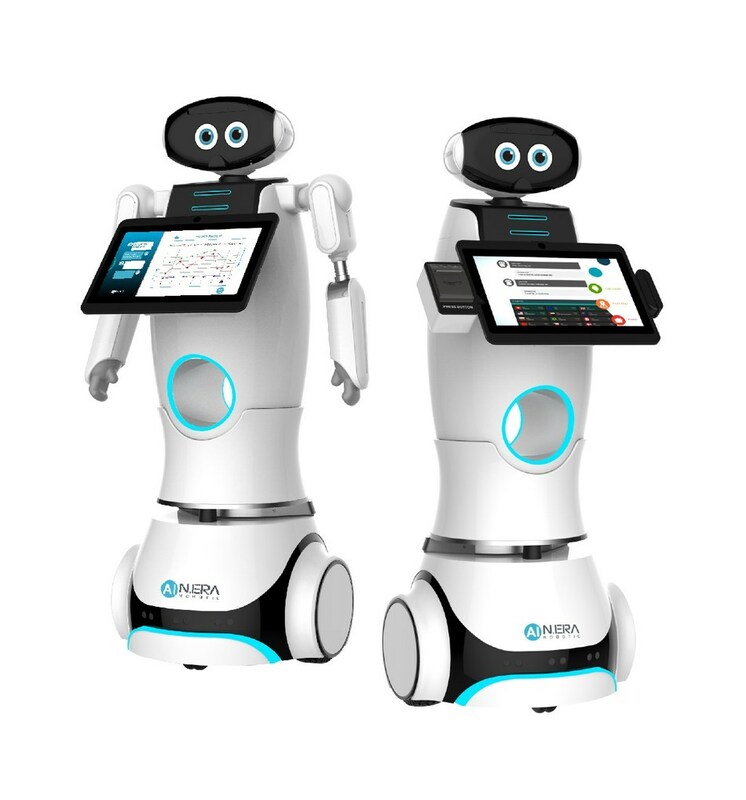 Furthermore, Taiwan-based New Kinpo Electronics has debuted its industry 4.0 portfolio expansion with its new brand, New Era AI Robotics. This includes the ChessBoard robot, which automates an entire factory’s material handling operation. Smart Service Robots from Kinpo Electronics New Era AI Robotics brand. Photo via Kinpo Electronics. Okuma, a CNC machine tool provider founded in Japan, displayed its MU-8000V LASER EX machine introduced earlier this year. 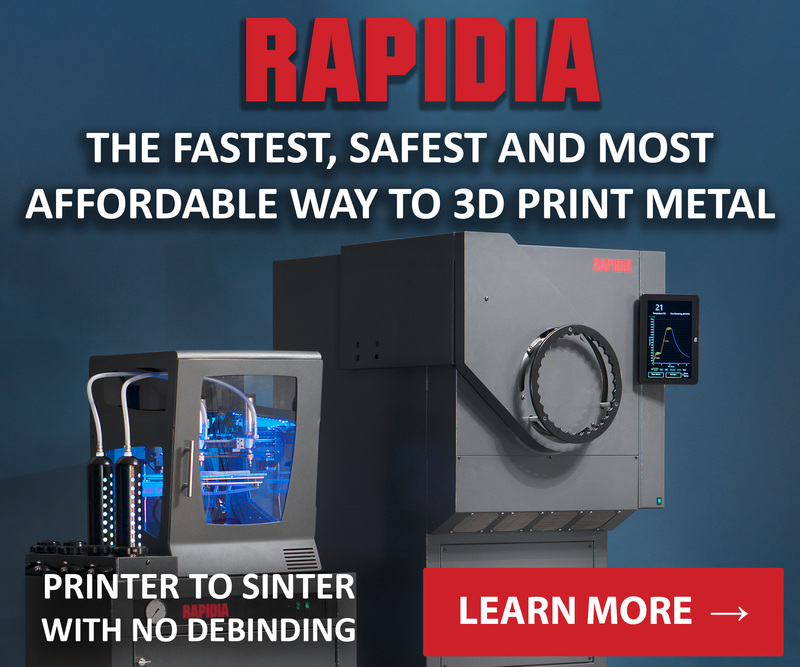 This multitasking system integrates 5-axis machining and laser additive manufacturing technology in one process to efficiently produce high-quality industrial components. Sodick, an Electrical Discharge Machining (EDM) hardware manufacturer founded in Japan is seeking to expand its offerings in both its milling and additive technologies, has presented its hybrid metal 3D printer, the OPM350. 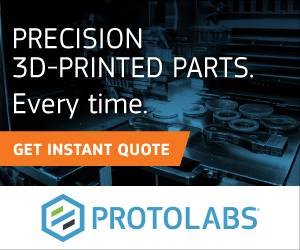 This direct metal laser sintering powder-bed printer combines a 500-watt ytterbium laser with a 45,000-rpm linear motor spindle, for milling operations during the additive manufacturing of a component. 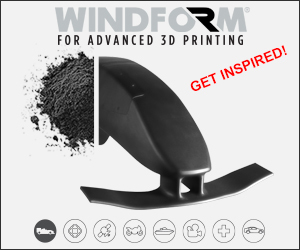 Chicago’s Ingersoll Machine Tools, a large scale machine tools manufacturer, showcased a 3D prnted winglet from its Master Print large-format 3D printer which uses 5-axis CNC for aerospace-grade milling functionalities. The technology was developed in collaboration with Oak Ridge National Laboratory, a partnership announced at IMTS 2016. 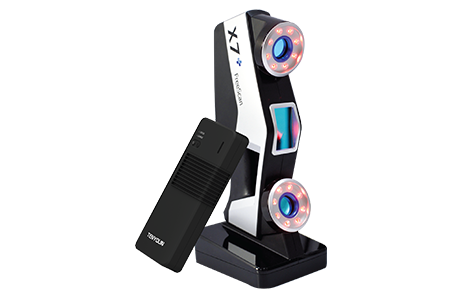 Shining 3D, a Chinese 3D printer and 3D scanner manufacturer, introduced its first wireless handheld 3D scanners. The Wireless FreeScan X5+ and X7+ metrology 3D scanners allow up to three hours of continuous operation and 12 hours of standby time, for use in challenging large-scale applications in the automotive, aerospace and mold and die industries. The Wireless FreeScan X7+ metrology scanner. Photo via Shining 3D. 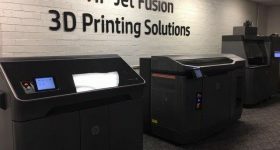 Sintavia, a metal 3D printing company based in Florida, announced the addition of the tenth and an eleventh additive manufacturing machine to its fleet of in-house printers. This included the EOS M400-4, and an EOS M290 industrial 3D printers for volume production. 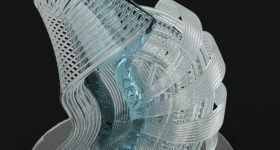 In other news, 3D Systems, announced at IMTS that its partner Align Technology, the creator of the Invisalign range of clear-aligner orthodontics, has increased its investment in 3D Systems’ SLA 3D printing technology as part of its continued operational expansion use of additive manufacturing. 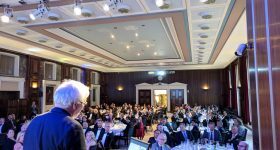 With the technological integration of traditional and 3D printing technologies, it is clear to see that additive manufacturing is not only a growing trend but one that will be present in many years to come. Featured image shows a 3D printed signage for IMTS 2018. Photo by Michael Petch.